Garbe Industrial Real Estate GmbH is intensifying its activities in the metropolitan region of Munich. In Moosburg on the Isar river (district of Freising), the Hamburg-based project developer has acquired a developable plot of land approximately 30,400 square metres in size, on which it plans to erect a building of up to 15,700 square metres suitable for logistical services as well as for production and trade. 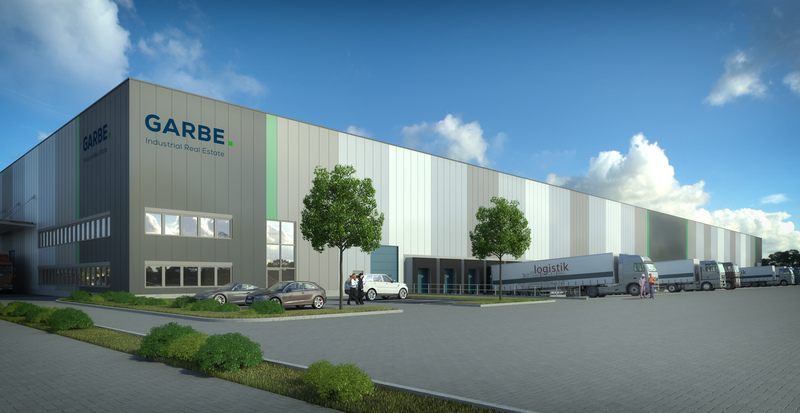 “The demand for space in the metropolitan area of ​​Munich is persistently high,” explains Jan Dietrich Hempel, managing director of Garbe Industrial Real Estate GmbH. “That’s why we decided to purchase the property without fixed leasing commitments.” The marketing for leasing of the property has just begun, and the first talks with prospective tenants are already underway. A total area of ​​approximately 15,700 square metres is envisaged for the building. Either the entire building can be used, or it can be divided into several units. “The designation of the area as an industrial area (GI) and the attractive location make the property interesting for various potential uses,” says Jan Dietrich Hempel. The new building is being built east of Moosburg city centre in the Degernpoint industrial area. It is centrally located between Landshut and the metropolitan region of Munich. The industrial area is fully developed and is located only a few kilometres away from the A 92 Munich–Deggendorf motorway. Munich Airport can be reached in about 20 minutes via the motorway. The metropolitan region of Munich is extremely attractive to Garbe Industrial Real Estate GmbH. In Eching, the company is currently developing a state-of-the-art production hall for twelve million euros. As of the end of 2018, the broadcast technology provider sonoVTS intends to design, install, and store equipment for television and radio productions, multimedia, as well as complex broadcasting systems, studio equipment, and broadcasting vans in the new hall.